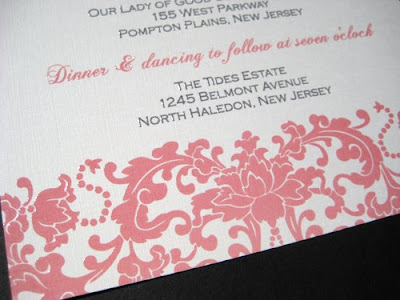 Emily & William chose the ballroom design printed thermography on the off white linen card stock. Emily wasn't sure which shade of pink she wanted to use, so we worked together using a pantone color chart. She paired this lovely pink with gray. 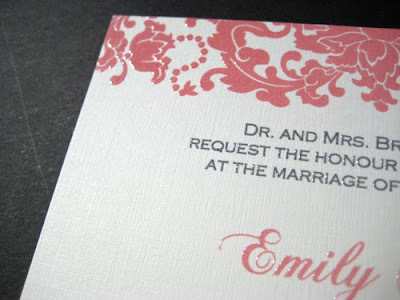 Emily had a lot of flexibility in her colors because her bridesmaids are wearing gray. Won't that look so pretty? A gray dress with a lovely pink bouquet! 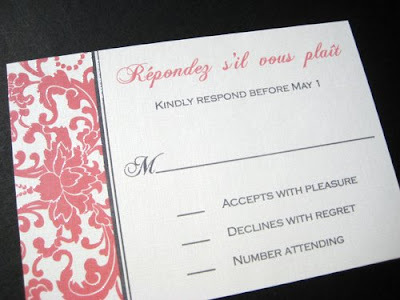 I just wanted to thank you for the invitations!! They arrived on-time on Friday, and they are BEAUTIFUL!! The pink and gray really work nicely together! You were so helpful in giving advice and working with all my requests! I really appreciate everything that you did for me! 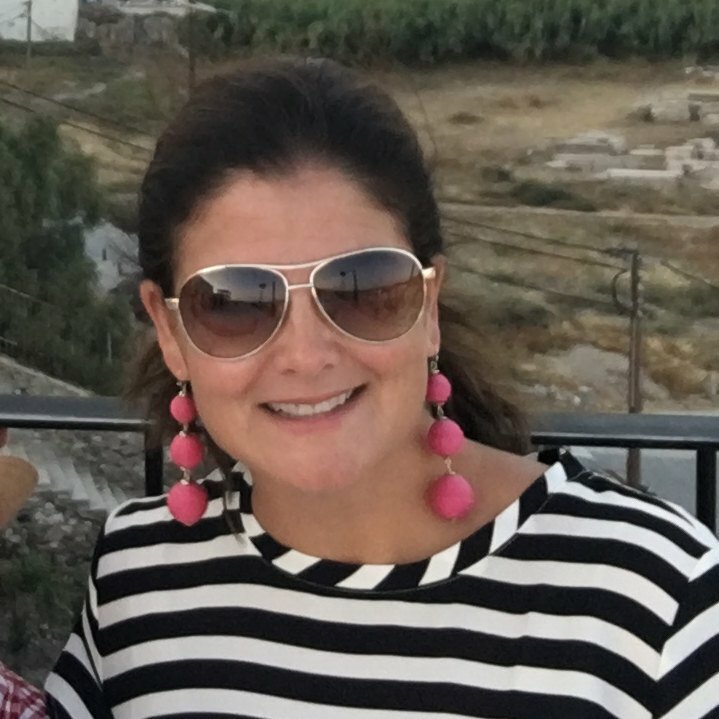 I will definitely recommend your website to my engaged friends!"